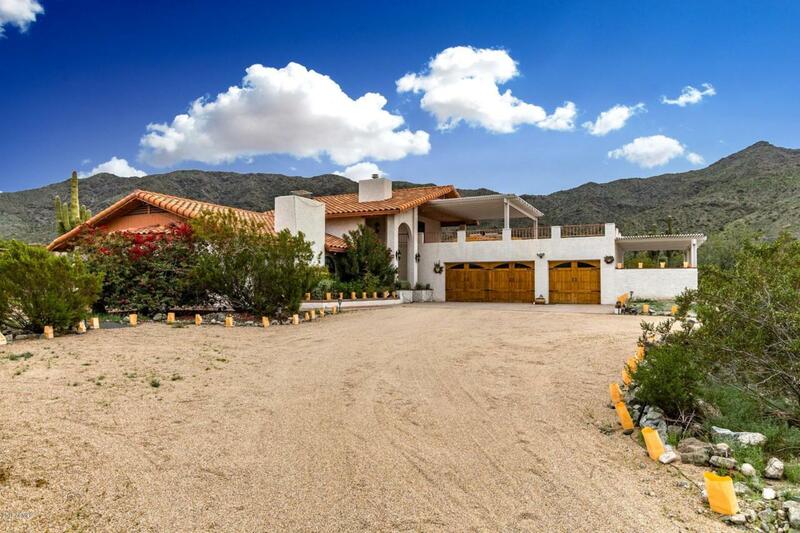 Desert living at it finest! 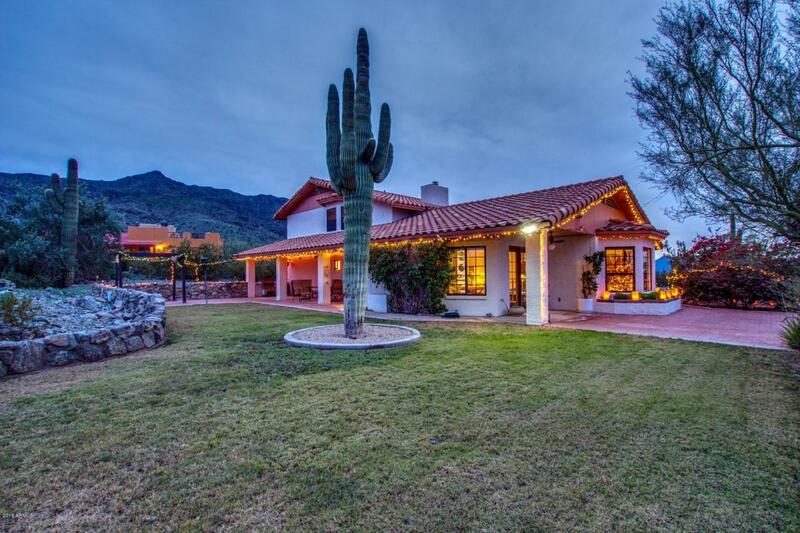 Private custom home on one and a half acre lot with amazing 360 views of the city lights, surrounding mountain ranges, and majestic Saguaros! 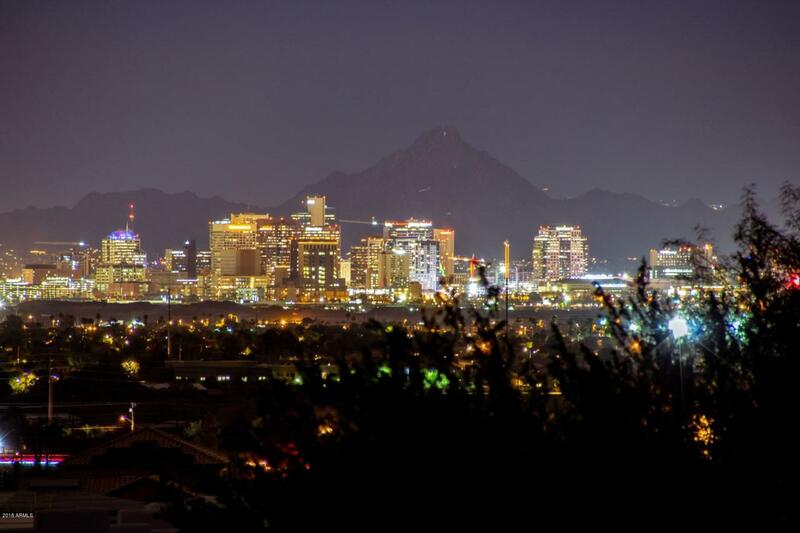 Quiet desert living close to the downtown, west valley, ASU and airport yet feels like you are far away! Circular drive into well maintained and appointed home with open plan, split bedrooms, wood floors, two fireplaces, and an oversized 3 car garage. Large master retreat with fireplace and sitting area upstairs to take in the unbelievable views from a huge deck! 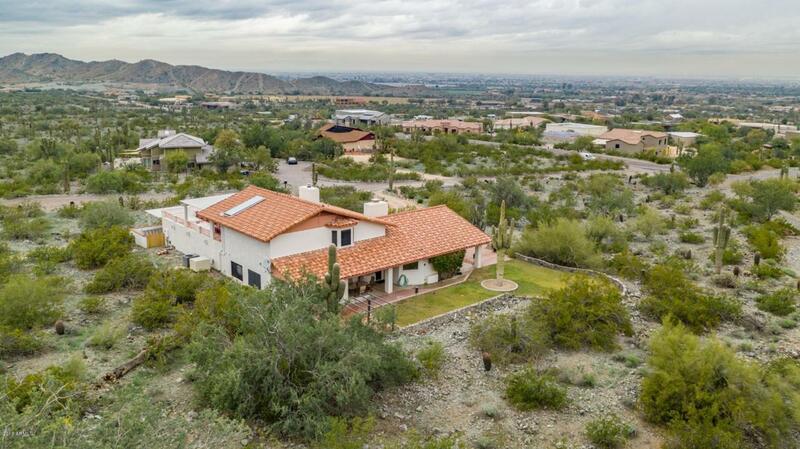 Lush desert landscaping and a few minute walk to miles of hiking and mountain biking and horseback riding in your 16000 acre preserve/park backyard! Energy efficient integra block construction with low electric bills!